* ... BAD FORM: Are we experiencing an open season on local bicyclists? It sure seems that way, and now we have yet another example of a driver deliberately running down a cyclist, once again on Panorama Drive. Said Krisi Heriford: "To whomever hit our friend, Lisa, who was riding her bike on Father's Day up the Panorama bluffs, shame on you for not stopping after you struck her with your vehicle. The impact of being struck by your mirror threw her from her bike, landing on her head and breaking her helmet. Even though she has a huge hematoma from the impact of your mirror against her arm, and cuts and soreness, she will recover. Her family, as well as all of her friends, are so ever grateful that she was able to return home, after going to the hospital, to celebrate Father's Day with her family, just in case you were wondering after you sped off if she survived." * ... BURGERS: Bryan Kelly submits this memory of a special hamburger place. "There are several reasons why I lost my 29 inch waist, but a major contributing factor is the great American institution known as the hamburger. I remember Bob's as Billy Bob's Burgers and Beer... a 'dive' is a superlative form that does not begin to describe that wonderful old place. The restrooms were in a separate building behind the bar and were labeled as 'himpies' and 'herpies.' I speak fluent hamburger and will always have a special place in my heart and a notch on my belt for Billy Bob's." 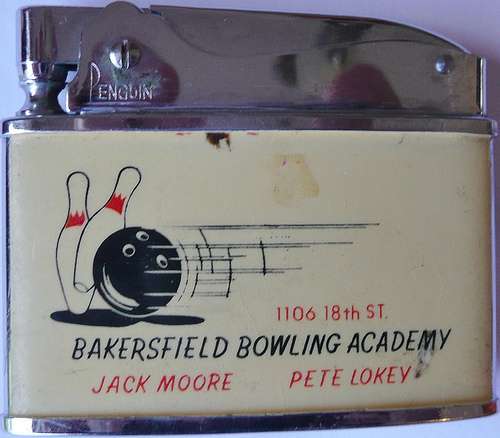 * ... MORE BOWLING: Another reader, Dave Rangel of Stockdale High, also worked there. 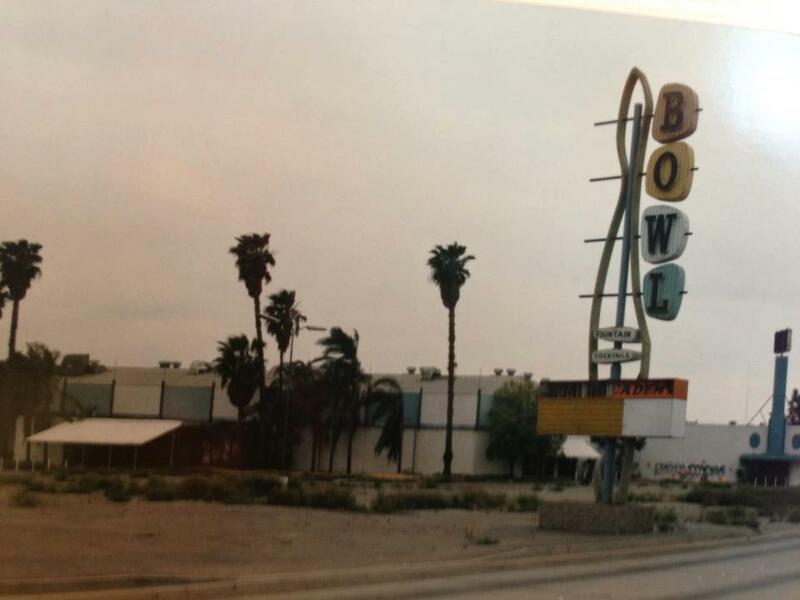 "I know because I was a porter there, along with Russ Kinney and Mike Hicks... Russ and myself disassembled the bowling lanes located on the site around the late 1960s." Eugene Wood remembers the area being popular with teens at the time. "It was a hub of activity in the 1950s with a roller rink, Farmer John's Pancake House and a drive in with girls on roller skates bringing orders out to your car. I don't remember the names of the roller rink or drive in, but I seem to recall a large grey elephant neon sign with the drive in." * ... BAKERSFIELDISM: John Strand of Lake Isabella says you may be a Bakersfield old timer if you remember when "the only Bank of America in Bakersfield (20th and Chester) had a full-time Bakersfield police officer in the main customer area."